A key Senate panel is scheduled to vote on the Rocky Mountain Front Heritage Act on Thursday November 21st, 2013 at 7:30AM MST. The outcome of Thursday’s hearing is an important step toward moving the bill to the finish line, which Baucus has named as one of his top priorities as he finishes out his final term in office which ends January 2015. The Heritage Act is a Montana-made bill built from the ground up by a wide variety of Montanans working together since 2007 on a cooperative effort to protect the Front, while protecting grazing opportunities for ranchers and public access for hunters, fisherman, and outdoor enthusiasts. In 2011, Baucussponsored the Rocky Mountain Front Heritage Act after attending public listening sessions across the state. 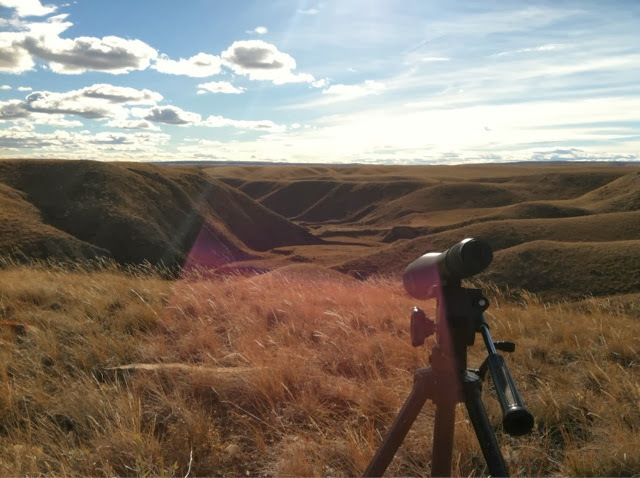 · Designates 208,000 acres as a Conservation Management Area, a home-grown designation which would limit road building but protect current motorized recreation and public access for hunting, biking, timber thinning and grazing. · Prioritizes noxious weed eradication and prevention on the designated public lands which in turns helps protect adjacent private working lands. 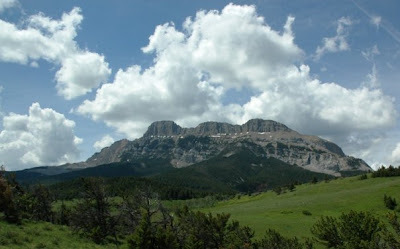 · Designates 67,000 acres of the Rocky Mountain Front as additions to the Bob Marshall Wilderness Complex. · It will not impact current mineral leasing in Teton and Pondera Counties. · It will not stop Montanans from benefiting from producing oil and gas on their land. What Max didn't say is this: The Heritage Act will continue a 100 year long tradition of ensuring wildlife will always have a place on the Rocky Mountain Front. In 1913, the Montana State Legislature established the Sun River Game Preserve. That started a 100 year conservation effort to do one thing: Keep the Front the way it is. Ranchers, farmers, hunters and conservationists of all stripes have fought together to make sure the Front retains the same characteristics as when Lewis & Clark first came though. With the exception of wild bison, all species of animals that roamed the Front are still there through the efforts of everyone who works, lives & plays along the Rocky Mountain Front. Conservation efforts of Ranchers have lead to the protection of both critical winter range and family ag operations. 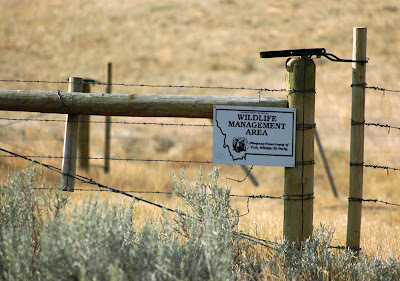 Efforts of hunters have led to the establishment of the Sun River, Blackleaf & Ear Mountain Wildlife Management Areas. Efforts from hunters, environmentalists & Ranchers have led to the protection of the Front from poorly thought out mineral leasing & development. We're proud to be on the long list of sporting clubs and organizations who support the Rocky Mountain Front Heritage Act. It's long past time to put this piece of the puzzle into place and protect the Front! Thanks Max, for taking this on. We know it's not been easy, but the reward will be worth it. Future generations remember the actions taken to protect what we hold dearest, and dear to our hearts is the Rocky Mountain Front. The Land and Water Conservation Fund (LWCF) is a Federal Program that was established by an Act of Congress in 1964 to provide funds and matching grants to federal, state and local governments for the acquisition of land and water, and easements on land and water, for the benefit of all Americans. The main emphases of the fund are recreation and the protection of national natural treasures in the forms of parks and protected forest and wildlife areas. 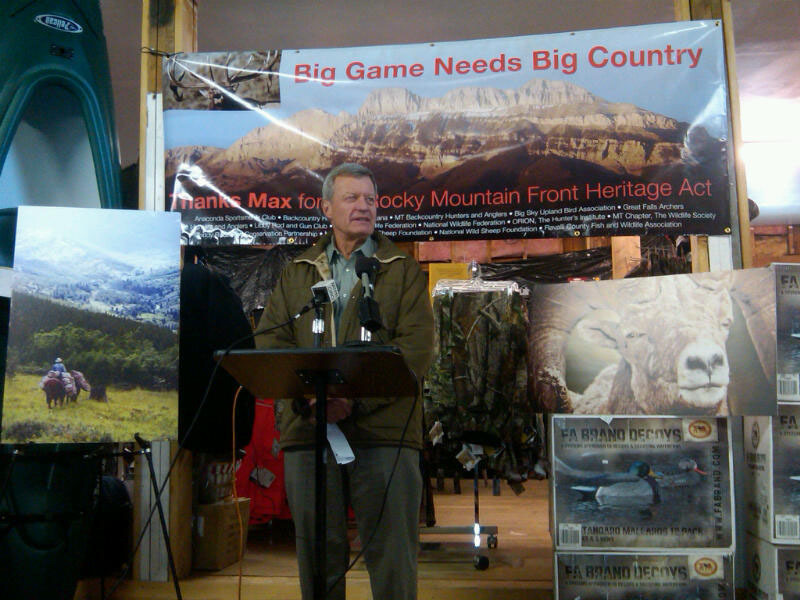 Whereas: Montana’s Outdoor Heritage is vital to the quality of life of our citizens and the United States as a whole. Whereas: Public Access to public water, wildlife and land help ensure a vibrant, economically resilient sector of Montana’s economy. Whereas: The Land & Water Conservation Fund has been vital in helping the Department of Fish, Wildlife and Parks fund operations in State Parks for the benefit and enjoyment of all Montanans and visitors to the Great State of Montana. Whereas: The Land & Water Conservation Fund is responsible for helping fund the acquisition of approximately 70% of all Fishing Access Sites in Montana. Whereas: The Land & Water Conservation Fund has been judiciously and efficiently used to ensure future hunting and angling opportunity through the purchase of strategic pieces of land. Whereas: The Land & Water Conservation Fund has been instrumental in conserving vital habitat for Threatened and Endangered Species, ensuring their eventual delisting and return to State Management. Whereas: The ability to connect with Montana’s outdoor spaces, publicly owned wildlife, rivers and streams is one of Montana’s greatest assets. Whereas: Protecting working landscapes through conservation easements ensures that farmers and ranchers will be able to pass their operations down to their children while preserving Montana’s unique and vibrant landscape. Whereas: Senators Max Baucus & Jon Tester have long advocated for access to public lands and waters, fought for funding of the Land & Water Conservation Fund, and helped ensure Montana’s economic diversity through their stalwart championship of the Land & Water Conservation Fund. Therefore, be it resolved in acclimation of the Montana Fish, Wildlife and Parks Commission acting in regular session on November 14th, 2013 in Helena Montana that the Land & Water Conservation Fund should be reauthorized with no sunset date. Be it further resolved that the United States Congress must fully fund the Land & Water Conservation Fund to the full amount of $900 million per year from offshore mineral leasing royalty without diversion to other programs. We give a mighty tip of our Stormy Kromer to the Commission for stepping up and calling for the reauthorization of LWCF & calling on Congress to quit screwing around and fully fund this critical program. LWCF has brought Montanans about 70% of our fishing access sites, places like Tenderfoot in the Belt Mountains, Fish Creek outside of Missoula and the Marshall Block by Seely Lake. It's a great program that helps ensure access to public lands, water & wildlife. Without it, we'd be up a creek without a paddle when it comes to ensuring Montanans have a place to hunt and fish. In fact, LWCF not only plays a role in acquiring new land, if Senator Tester's SPORT Act goes through, it could help ensure that Montanans can negotiate with private landowners to purchase access easements to landlocked public land. More access means more hunting opportunity. It also means more economic opportunity for the businesses that rely on Montana's vibrant public hunting economy. 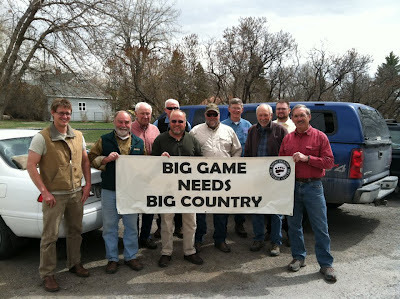 HELENA – Montana sportsmen and women are praising the Montana Fish & Wildlife Commission for today’s proclamation in support of Senator Max Baucus’ bill to reauthorize the Land & Water Conservation Fund (LWCF). The LWCF uses offshore oil leases—not taxes—to invest in state and federal parks, trail systems and waterways. In Montana, the Fund is used for everything from Fishing Access Sites to making public land more accessible. In their proclamation, fish and wildlife commissioners also called for full federal funding of LWCF to the tune of $900 million per year. Over the years, more than $17 billion has been diverted from LWCF to pay for unrelated spending. This year the U.S. House of Representatives zeroed out funding from the LWCF. According to the Outdoor Industry Association, outdoor recreation is responsible for pumping more than $5.8 billion into Montana’s economy every year. It also supports more than 64,000 jobs in the Treasure State. Baucus has said passing his Land and Water Conservation Authorization and Funding Act is one of his top priorities to accomplish before his final term ends in 2014. The sound of splashing and laughing children drifts through a dense thicket of willows and cottonwood saplings. It’s a hot, mid- Saturday morning in early August at Grey Owl Fishing Access Site on the Yellowstone River, crowded with a row of parked pickups and SUVs and Subarus left behind by the early wave of fishermen and guides boats already far downstream. Late arrivals like my son and daughter and I are everywhere. A cowboy-hatted man and his three kids drag a sun-bleached raft to the water, while a woman in a new Toyota 4-Runner waits her turn to launch an elegant Lavro driftboat. A yellow Labrador pup trots by, nose-to-gravel, pursued by a swift barefooted toddler in shorts, who has outdistanced a young woman bearing a swim bag in one hand and a picnic cooler in the other. We’re here to wile away an hour or two, just passing through on our way home. Like everybody else here, we’ve come to enjoy one of the coldest, cleanest, most accessible big rivers in the world. From the fly angler hunting native cutthroats on the Upper Bitterroot to the bowfisherman stalking paddlefish in the Dredge Cuts of below Fort Peck Reservoir, there may be no place on earth where people enjoy free access to such a wide variety of waters, fish, wildlife and just pure outdoor experience as they do right now in Montana. It’s a sad irony that, in a world where top quality fishing and some of our most beautiful landscapes are increasingly reserved for those who can pay the most for them, almost none of the estimated 950,000 people annually who enjoy Montana’s rivers and lakes have any idea why we have such an extensive network of public access sites, deliberately acquired and carefully developed, to ensure that such access remains for future generations. That irony is even sadder because the mechanism used to establish that visionary network of access, the Land and Water Conservation Fund (LWCF), has been pillaged in an increasingly brazen manner for the past two decades, with almost $17 billion of its funds removed to date. LWCF, despite its track record of success, is now in danger of being eliminated altogether, largely due to political leaders acting out of ideologically- hidebound ignorance, or who simply want to use the money allocated to the LWCF for almost anything but conservation and the public’s access to America’s outdoors. The Land and Water Conservation Fund was born in the early years of the 1960’s from the ideas of President John F. Kennedy, the renowned conservation leader (and then Secretary of the Interior) Stewart Udall, and others. It was established in 1965. The Act designated that a small portion of the annual receipts from offshore oil and gas leases would be placed into a fund that would be distributed to the states for projects focusing on everything from public tennis courts and swimming pools to protecting watersheds, national parks, wildlife and fisheries and other natural resources. The LWCF was to have an allocation cap of $900 million – a powerful sum at a time when real estate and development costs were very low compared to now. http://www.recpro.org/assets/SORP_Reports/2013_adapting_lwcf_2015_final_compressed.pdf for a comprehensive report on both the history and the possible future of the LWCF). One of those success stories was the establishment of public Fishing Access Sites across Montana. In the first three decades after the Land and Water Conservation Fund was created in 1965, 241 of Montana’s 775 fishing access sites were purchased outright with LWCF money. The goal was simple: ensure public access to the rivers and lakes for fishing and other recreation. What was achieved was of a much larger magnitude. On a national level, the facts support that claim. The looting of the LWCF began in earnest in the late 1980’s, and appropriations for the Fund have decreased every year since 2001. As Tim Ahern of the Trust for Public Land, explains, “The money still goes into the LWCF every year. No, it’s not as much as it’s supposed to be, but last fiscal year, $322 million went in. But the LWCF has come to be seen as just a big cookie jar- the money is appropriated for something other than conservation.” What has to happen now, Ahern said, is that the Congress first has to reauthorize the Act in 2014, mandate that the LWCF be fully funded every year, and establish clearly where the money must be used. In Montana, the kind of partisan political leadership that has poisoned discourse across much of the nation is uncommon. The pragmatists among Montana’s political leadership have been relentless advocates for the LWCF, for reauthorization, full funding, and for restoring the use of the fund for conservation. In February of 2013, Montana Senators Max Baucus and Jon Tester introduced SB 338, The Land and Water Conservation Authorization and Funding Act http://www.baucus.senate.gov/?p=press_release&id=1234. Senator Tester explained to reporters, "Hunters and anglers tell me every day that their top priority for Montana is ensuring public access to public land. Outdoor recreation creates thousands of Montana jobs and protects our proud outdoor traditions for future generations. The Land and Water Conservation Fund is a popular, smart investment in the future of our land, our clean water, and our kids and grandkids who will grow up enjoying the same outdoor opportunities we all love in Montana." In August, Senator Baucus and his staff organized a float on the Madison River specifically to bring attention to the importance of the LWCF. A large flotilla of rafts and canoes and kayaks took to the water along a carefully chosen route—- from the Milwaukee Fishing Access site (purchased with LWCF funds) downstream to the Missouri River Headwaters State Park (an LWCF project which preserves the site where the Lewis and Clark expedition camped in the summer of 1805) where the Jefferson, Madison and Gallatin Rivers all come together to form the 2300 mile-long Missouri. Along the entire route of the float is very popular ten mile walking and biking trail, developed also with help from the LWCF, which connects the town of Three Forks to the state park.